SAN FRANCISCO (AP) — Six black suspects arrested in a San Francisco drug sweep of low-level dealers sued the police department Thursday, claiming a department plagued with racist behavior targeted them because of their race. The American Civil Liberties Union filed the lawsuit on their behalf in federal court in San Francisco. The six were arrested as part of two-year joint federal-local sting dubbed Operation Safe Schools that aimed to clean up the city’s low-income Tenderloin neighborhood rife with openly conducted drug sales. The lawsuit alleges that all 37 suspects arrested in two sweeps between 2013 and 2015 were black. They were indicted in federal court on drug charges and 25 of them quickly agreed to plea deals. Six of those people are the named plaintiffs in the ACLU lawsuit filed Thursday, which alleges their arrests were a result of a police department plagued with racist policies and officers. 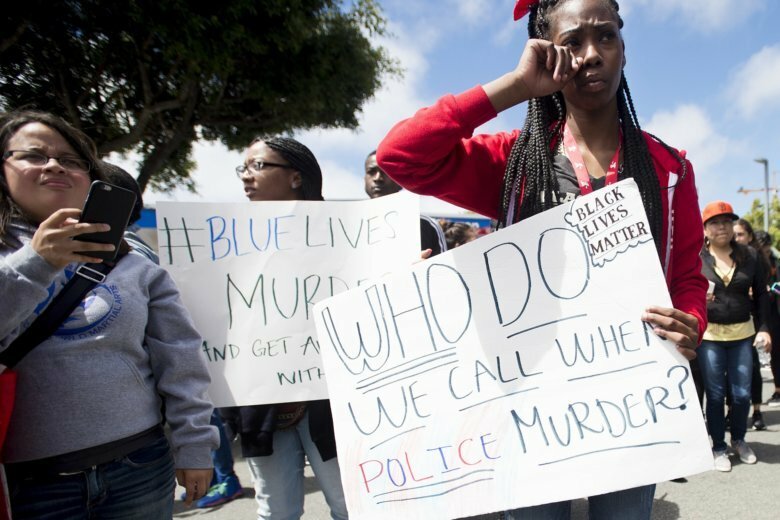 Greg Suhr resigned as police chief in 2016 amid rising racial tensions over police fatally shooting four minority suspects over a six-month period. None of the suspects were armed with guns. Suhr’s resignation culminated a tumultuous five-year term that included two separate scandals involving officers exchanging racist and homophobic text messages, including some comparing blacks to monkeys and others disparaging black suspects. Nine officers were fired for sending inappropriate texts. The city last year hired its first black police chief, Bill Scott. He has vowed to reform a department that a 2016 U.S. Department of Justice report found disproportionately arrested, searched and used deadly force against black suspects. The police department referred questions to the city attorney’s office. City attorney spokesman John Cote declined to comment, saying he hasn’t seen the lawsuit. He also defended the police department. “The San Francisco Police Department prides itself on being one of the most diverse, forward-thinking and transparent law enforcement agencies in the country,” Cote said.